After posting so many excerpts from Dr. Chana Katan’s new book, I wanted to give you JewishMOMs a real-life peek at Dr. Katan and her family in this new video from Orot TV. I think Dr. Katan is gorgeous and I love her shining smile. And, of course, I think her message of finding the correct balance between motherhood and career is a very important one. Translation below. achieving success as a doctor she sacrificed the experience of raising her own children. are losing out.” And that is how I see my life. I was required to work full-time in the delivery room, there was no such thing as working part-time. I remember one time I came home from the delivery room, and my three children were waiting for me on the steps on my house, ages zero to three, and my oldest son, who was three and a half at the time said to me, “No mother does this to her children! No mother!” And that sentence destroyed me. A simply terrible mother. Narrator: Her own sacrifices caused her to change direction, to give up her desirable position as a doctor on a hospital ward in order to open a clinic where she switched her professional focus to what is more important to her than anything else: women’s health and advising couples on fertility-related issues. Dr. Katan: The issue that is most meaningful and painful to me is the issue of older singles. And from this issue, I suffer the most. Because I meet with this reality at the final station. A woman comes to me, a very talented and happy woman who is 44-years old, and she says to me, “Hello doctor, help us to get pregnant.” And what can you do? It doesn’t work. The train has already passed by. The biological clock is ticking. And it turns out that women don’t know this. And I have to be the first one to tell them this! Why? Chana Katan never dreamed of becoming a doctor and she refuses to be transformed into a role model. Despite the words of appreciation that she receives every day from her family members and her patients, looking back only she knows how difficult it was. Narrator: And you know what I need to ask now…Was it all worth it? Dr. Katan: It’s clear that if this was the way Hashem led me, it was worth it. It's a Bird! It's a Plane! It's Pesach Superwoman! I hope that one day she can see all the good she did and not live with so much regret. At least she was helping people! There are so many workaholics out there whose jobs are so meaningless in the end- I wonder if they eventually have the same regrets. I am sure of the much good that Dr Katan has done for people. What is not part of that is telling a woman at 44 that “the train has passed her by”. How many many women I know who have been pregnant between 44 and 48, all without fertility treatments and many for the first time. It is not Torahdich to take away a person’s hope that way. And fertility treatments can work for women over the age of 44. 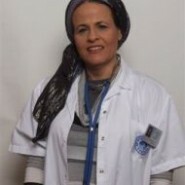 Go to the top specialists in Israel and you will see them treating women over 44, not turning them away. I don’t think Dr. Katan turns away these women. She just wants to explain to them that it’s harder to get pregnant after 40. And it’s heartbreaking for her that she has to be the one to break this news to them after attempting fertility treatments. I keep reading about this issue all the time. With so many fertility treatments available and countless celebrities having children well into their forties, many women have this idea that they too can easily get pregnant in their forties, and this simply is not the reality. For some (and possible for quite many) women after forty, even with fertility treatments, the possibility of getting pregnant is small. For some, the possibility is zero, unless one is considering donor eggs or surrogate mothers, etc. Read the rates of success for fertility treatments, and you will see how misleading the notion that nowadays anyone can have a child in her forties is. I’m not sure how helpful it is to tell women that they need to marry and have children young or they will have fertility issues. While it might be true in principle, there are SO MANY women in their 20s and 30s and beyond out there who would love to get married, if only they would find a decent husband who wants to marry them. Why to add to their burden by scaring them with constant reminders of possible infertility (which in my experience women know about anyway)? Getting married and having children is the man’s mitzvah anyway. Yet I know countless men who are getting married late because they think their fertility won’t be affected and they don’t want to get tied down yet (and as a result we get the problem with “shidduch crisis” for women). It’s not that simple. Forgive me, I don’t know Dr. Katan’s story very well, but if she felt that not seeing her children grow up was so painful, why did she continue pursuing her career? Were there no other options for a doctor? Why did she feel she had to go on? right! where is the sacrifice? the Torah teaches us that we always have the choice!